ENG. 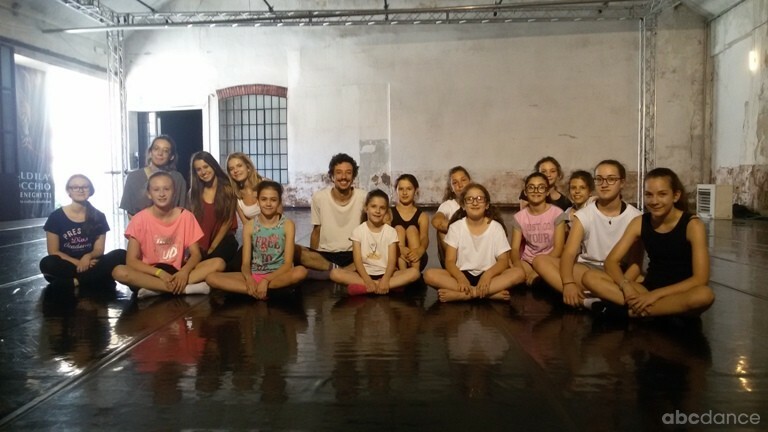 | Here is our report on the dance class held by Andrea Costanzo Martini for the young dancers of the Mini B.Motion project, promoted by Operaestate Festival Veneto. 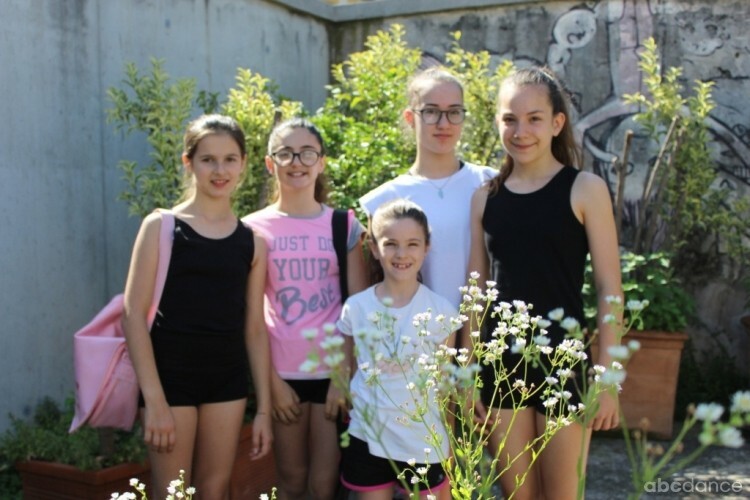 A summer school for kids, aged 8-13, which aims at opening to new choreographic ideas, while practicing and sharing the language of contemporary dance. ITA.| Qui di seguito il nostro servizio sulla classe di danza condotta da Andrea Costanzo Martini per le le piccole danzatrici del progetto Mini B.Motion, promosso da Operaestate Festival Veneto. 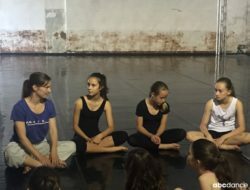 Una scuola estiva per giovanissimi danzatori tra gli 8 e i 13 anni, che offre loro l’opportunità di sperimentare nuove idee coreografiche, di studiare e di approfondire il linguaggio della danza contemporanea. CSC Garage Nardini, 15 June, 2018 | Rule one: do not talk. Rule two: never stop, not for an entire hour. So began the whirlwind dance class held by Andrea Costanzo Martini, in which I found myself, despite initial reservations. I was the interloper, sticking out like a sore thumb in virtue of my age and size. I wasn’t allowed to merely sit and watch, and so I agreed, reluctantly for the record, to join in and dance along with the mini participants. “To understand it you must do it” – Andrea instructs me. 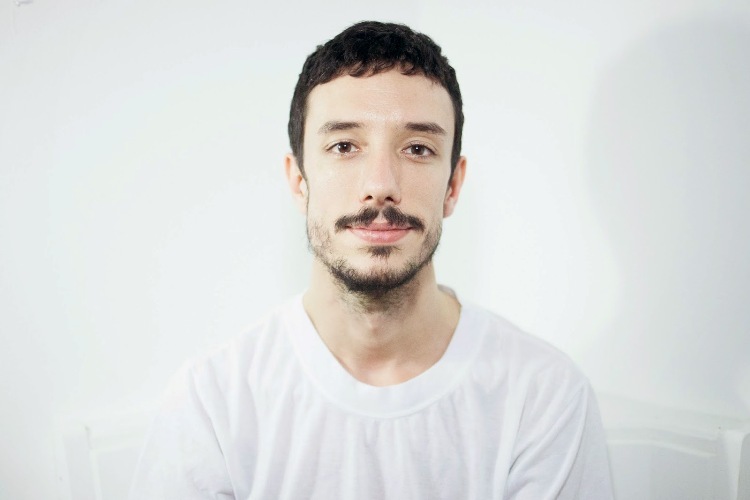 Originally from Cuneo in north-western Italy, this young dancer, teacher and choreographer currently lives in Israel, where he also collaborated with the legendary Batsheva Dance Company. It is not “gaga” — he tells me in the pause between one lesson and another, during which I can finally catch my breath and swig some water — but some hints of the renowned method developed by Ohad Naharin are in there, like the many appeals to the imaginary drawn from the animal world. The pelvis is the first section of the body to be reactivated by this energising mix, warming-up muscles, heart and mind. Imagining, that is the first exercise that we are call upon to pursue, as we walk with changes in rhythm and direction. Little by little the focus of the movement becomes concentrated, as if magnifying light into fire. We are called on to manoeuvre our imaginary tails, rotating the hips, freeing them. Then around other parts of the body: shoulder, elbow, knees. All these boney extremities somehow attenuate, they become soft, they warm up, they rotate. The skin mollifies in a unfamiliar heat, while his laconic tones guides the exercises, inviting us to see ourselves now as soft invertebrate jellyfish, then as writhing, hissing snakes, next as delicate fluttering butterflies. Incredibly, despite the effort to maintain speed together with punctual execution, the effort melts away in a hot sweat, and evaporates. The warm-up becomes pure fun, enabling a reactivation of energy. Moving the body at a steady pace, consciously executing the commands for actions becomes a gyrating game, a soaring climax of joy. We jiggled as if we wanted to brush sand off our skin, or we sought to protect ourselves from hail and then turned into an ably orchestrated tarantella, in a delirious dance. Liquid, warm fluid, he melds us as if we were clay, he moulds us and shapes us, loosing control, dissolving into our bodies. Uncontrollable energy is released in this surrender to vital fatigue, just let it flow, without fighting it anymore. The pinnacle of this game within a game comes when the sense of taste enters one’s movement. This is because, while we are soaked in perspiration and going through our stretching exercises, we are tasked with imagining that we are partaking of our favourite food. We have to move the mouth, thus engaging the internal mucous membranes as if we were really savouring a red strawberry or cherry, as if we were really masticating on something delicious and so actually start salivating more and more. Then, just as we are focused on scrunching that imaginary fruit, we discover that we are able to experience a child’s pleasure and forget our muscle cramps and aches. We manage to confuse the mind with an agile trick, switching off the pain, making room for the pure pleasure of movement, without anymore tiredness or effort. “Gaga” -I whisper, like the murmuring of a newborn just arrived on this earth. Eventually we have a break, but after the restart I remain seated and watch. A common name for something, a proper name for a place or person: “sleep”, “sky”, “travel”, “happiness”, “dance”. A secret codeword uttered and immediately embodied in gesture and movement by the children, in a game of free associations, unleashed for observers to catch without a second thought. An individual’s own name becomes an opportunity to muse over memories, to bury any elucidation upon those reminiscences inside a movement, inside a position, inside a figure. “Ruach”, breath, an exhalation along with the word which warms up our gesticulation, absolved of all cliché. I watch the piecing together of a choreographic score through words. I see the collective imagination take shape, all seemingly connected in some way, in this non-random succession of selected and vocalised words. I witness the animation of a collective dream. “In the beginning was the Word”. I attest to this game of representation: “sea”, “earth”, “two” … and the clouds of imagination billow up into the air, while the miniature dancers both create and crumble configurations. These are the suggestions, narrations, punctuations of this long exercise. It is one of imagining, representing, remembering, returning, reviving, annihilating, trampling, harming, harming not, piercing through all I see, and last but not least, to actually feel it. Because it’s through the body that I understand. 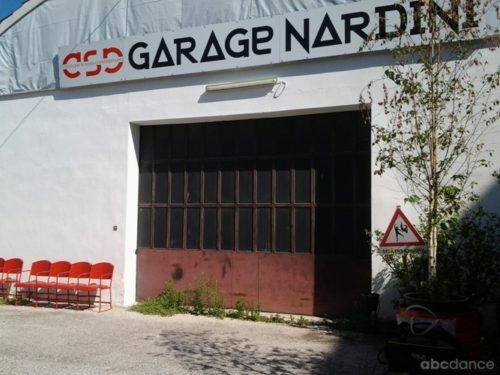 CSC Garage Nardini, 15 giugno 2018 | Prima regola: non parlare. Seconda regola: non fermarsi mai, per un’ora intera. Inizia così la vorticosa classe di danza tenuta da Andrea Costanzo Martini, nella quale, mio malgrado sono finita anch’io, vistosa intrusa per taglia e per età. Mi è stato infatti vietato di restare seduta a guardare e, per dovere di cronaca, ho accettato riluttante di danzare insieme alle piccole danzatrici partecipanti. “Per capire devi prima provare”- mi spiega Andrea. Originario di Cuneo, questo giovane danzatore e coreografo è oggi residente in Israele, dove ha lavorato anche con la leggendaria Batsheva Dance Company. Non è “gaga” – come mi spiega nella pausa tra una lezione e l’altra, durante la quale tiro finalmente il fiato e bevo un sorso d’acqua – ma alcune suggestioni del celebre metodo messo a punto da Ohad Naharin ci sono, come le molte sollecitazioni dell’immaginario attinte al mondo animale. È il bacino il primo punto del corpo ad essere riattivato da questo energizzante mix, che riscalda muscoli, cuore e mente. Immaginare è il primo esercizio a cui siamo chiamate, mentre camminiamo con cambi di ritmo e direzione. Poco a poco, il fuoco del movimento si concentra. Prima sulla coda immaginaria che siamo chiamati a muovere, ruotando le anche e liberandole. Poi su alcuni punti del corpo: la spalla, il gomito, le ginocchia. Tutti gli spigoli si assottigliano, si fanno morbidi, si scaldano, ruotano. La pelle si disfa in un calore nuovo, mentre la sua voce guida laconica gli esercizi, invitandoci ad immedesimarci ora in molli meduse invertebrate, ora in scattanti serpenti sibilanti, ora in agitate e delicate farfalle. Incredibilmente, nonostante lo sforzo sostenuto per mantenere la velocità unita alla puntualità dell’esecuzione, la fatica si scioglie in un sudore caldo, e si disperde. Il riscaldamento diventa divertimento puro, riattivazione calcolata di energia. Muovere a ritmo sostenuto il corpo, eseguendo con consapevolezza i comandi delle azioni da svolgere diventa un turbinoso gioco del come se, in un climax ascendente di allegria. Ci muoviamo come se ci volessimo togliere la sabbia dalla pelle, come si ci volessimo proteggere dalla grandine e diventiamo dei sapientemente orchestrati tarantolati, in un ballo scatenato. Liquido, caldo fluido, lui ci amalgama come fossimo terra d’argilla, ci plasma e ci modella, sciogliendoci il controllo, dissolvendolo in corpo. Si sprigiona un’irrefrenabile energia in questo arrendersi vitale alla fatica, in questo lasciarla scorrere, senza più combatterla. L’acme di questo gioco nel gioco arriva quando fa ingresso nel movimento anche il senso del gusto. Perché mentre stiamo eseguendo esercizi di stretching, ormai madide di sudore, dobbiamo provare a immaginare di star mangiando il nostro cibo preferito. Dobbiamo muovere la bocca e le sue mucose interne come se stessimo veramente assaporando una fragola rossa o una ciliegia, come se stessimo veramente masticando qualcosa di prelibato e la nostra salivazione aumentasse. Allora, proprio mentre siamo concentrati a masticare quel frutto immaginario, accade che scopriamo di poter provare un piacere bambino e dimenticare i crampi e le tensioni muscolari. Confondiamo la mente con un agile sgambetto, e la spegniamo, facendo spazio al puro piacere di muoversi, senza più stanchezza, senza più fatica. “Gaga” – sussurro, come flebile vagito di neonato appena arrivato su questa terra. Finalmente, arriva la pausa. Poi, si ricomincia. Ma questa volta io resto seduta, a guardare. Un nome comune di cosa, un nome proprio di luogo o di persona. Sonno, cielo, viaggiare, felicità, danza. Un codice segreto di parole pronunciate e subito incarnate in gesto e in movimento dalle bambine, in un libero gioco di associazioni che si schiudono agli altri senza pensare. Un nome proprio di persona diventa l’occasione per spiaggiare ricordi, per sotterrare annotazioni della memoria dentro a un movimento, dentro a una posizione, dentro a una figura. “Ruach”, fiato, respiro emesso insieme al nome, che insuffla calore al gesto, spogliato dei cliché. Assisto alla costruzione di una partitura coreutica attraverso le parole. Vedo prendere corpo l’immaginario collettivo, collegato, in qualche modo, in questa non casuale successione di parole elette e pronunciate. Assisto all’animazione di un sogno collettivo. “In principio era il Verbo”. Assisto a questo gioco della rappresentazione: “mare”, “terra”, “due”…. e il vapore dell’immaginazione sale nell’aria, mentre le piccole danzatrici creano e scompongono figure che sono suggestioni, che sono narrazioni, che sono interpunzioni a questo lungo esercizio che è l’immaginare, il rappresentare, il ricordare, il ritornare, il resuscitare, l’annientare, il calpestare, il nuocere, in non-nuocere, il perforare quello che vedo e, finalmente, sentirlo. Perché con il corpo capisco.